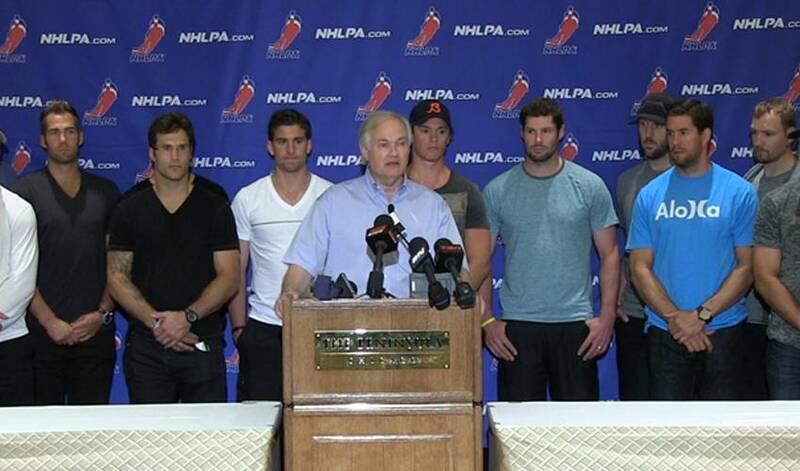 With collective bargaining negotiations expected to begin in the immediate future, more than 50 players, along with union staff, will attend the NHLPA Executive Board meeting June 25 - 27 at the Peninsula Hotel in downtown Chicago. The union Executive Board Meetings, which are held annually, will begin mid-afternoon on Monday, and run into that evening. This will be followed by a full-day session on Tuesday and conclude with a half-day on Wednesday. The Executive Board Meeting will be attended by approximately 50 players, consisting of Player Reps and Alternates, members of the Negotiating Committee, and other players. They will hear updates on pending matters, most especially concerning the issues expected to be discussed in the CBA negotiations which will start soon, but also including other matters of interest to players. A key part of the agenda will be an update from Executive Director Don Fehr on the preparations for the upcoming CBA negotiations, and player discussions regarding the various bargaining proposals being considered. Players will also hear from a variety of NHLPA staff on all areas of Association business, including marketing and licensing initiatives, international affairs, on-ice playing issues and the free agent marketplace as we approach July 1st and enter the summer free agency period. Later in the summer, the NHLPA will hold a number of regional meetings in Europe and in North America to update all players on the status of the CBA talks.